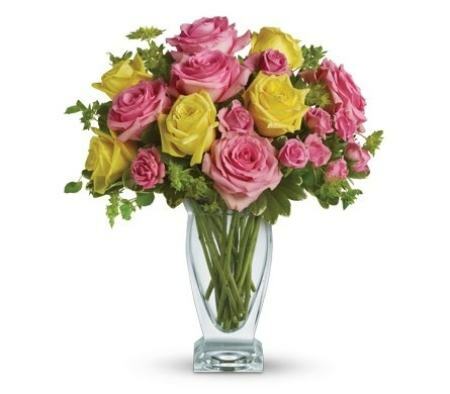 A bouquet of flowers is a fantastic way to show someone you care and it makes for a great gift. 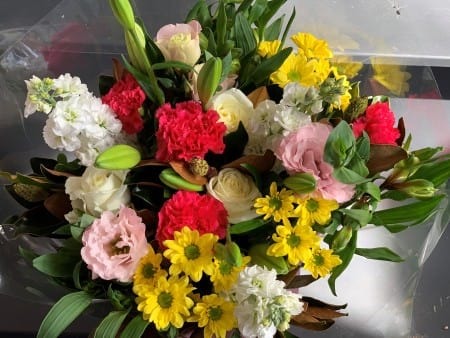 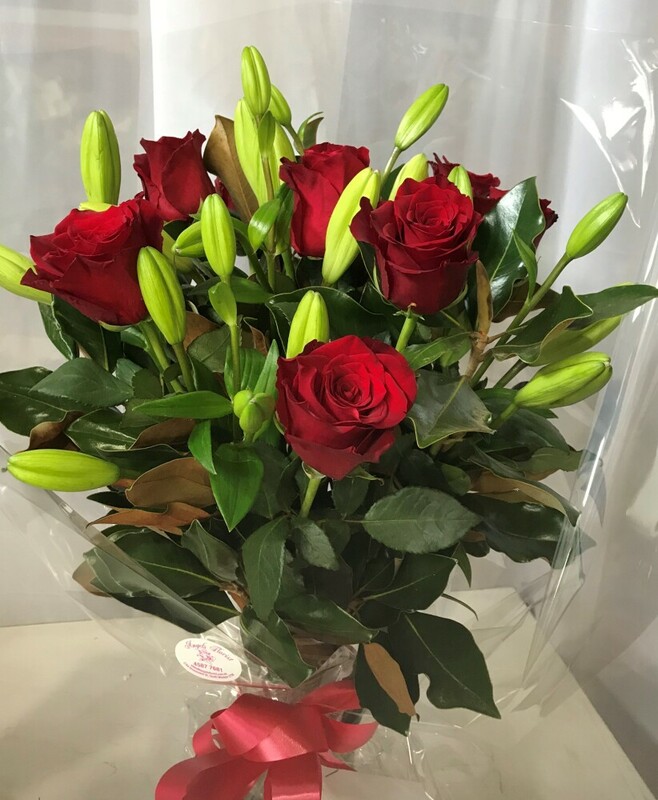 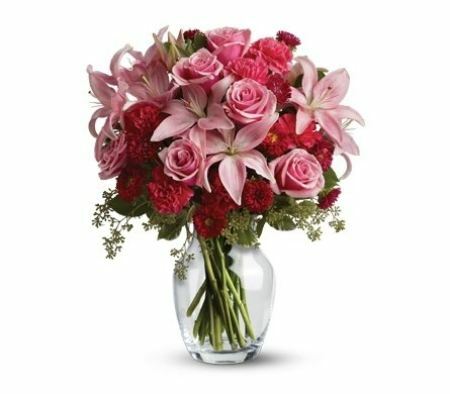 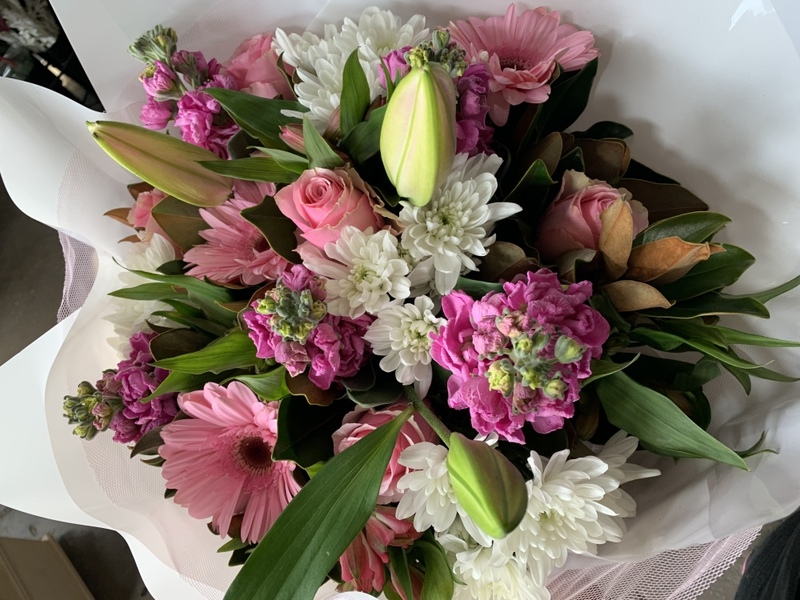 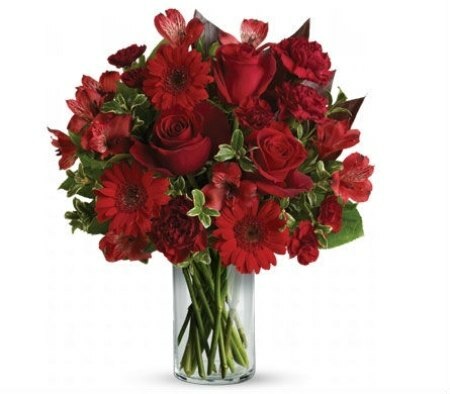 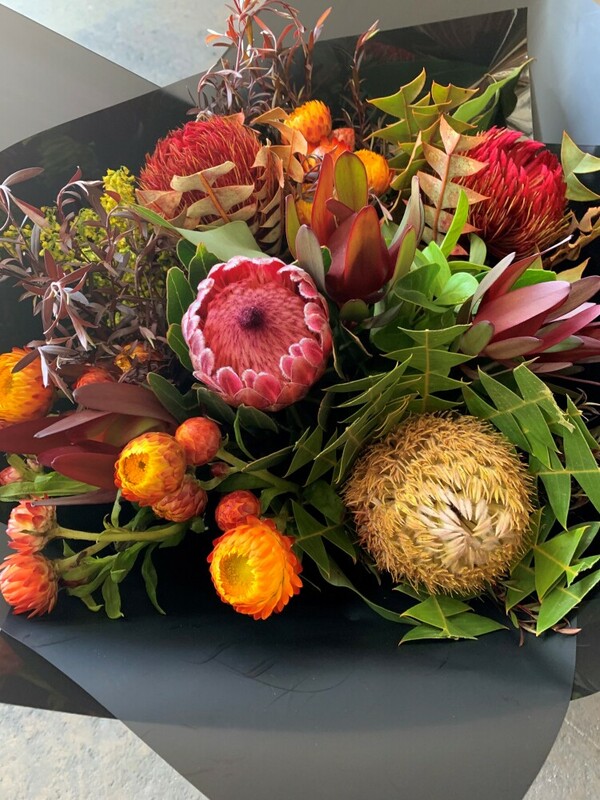 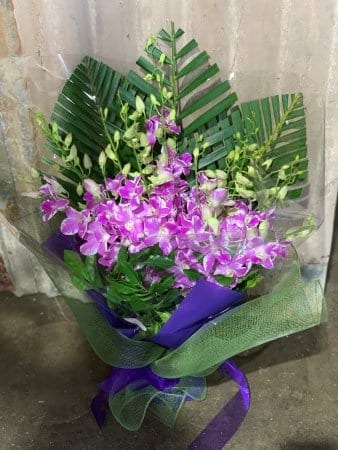 Angel`s Florist`s floral bouquets are terrific for a range of different occasions, including birthdays, sympathy, anniversaries, celebrations, to say thank you or get well soon or sorry. 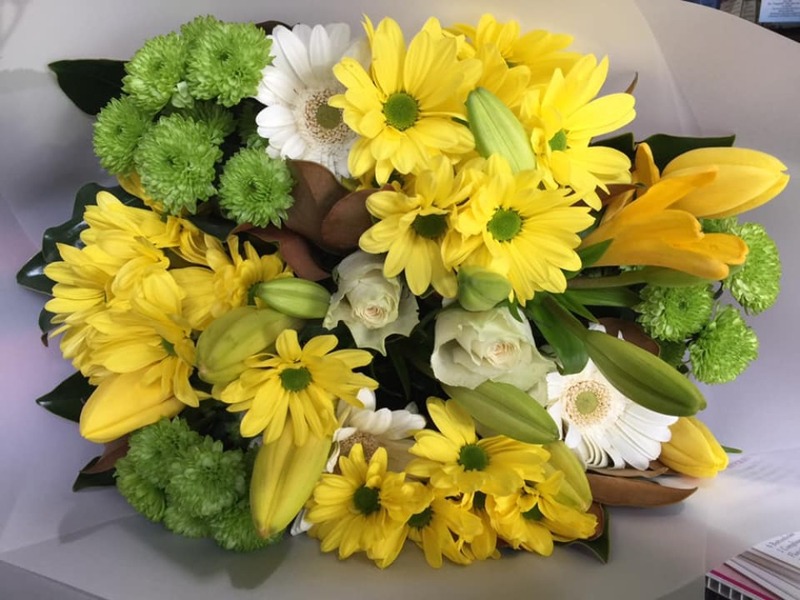 You can send someone a flower bouquet to their home or work and it will be guaranteed to brighten their day. 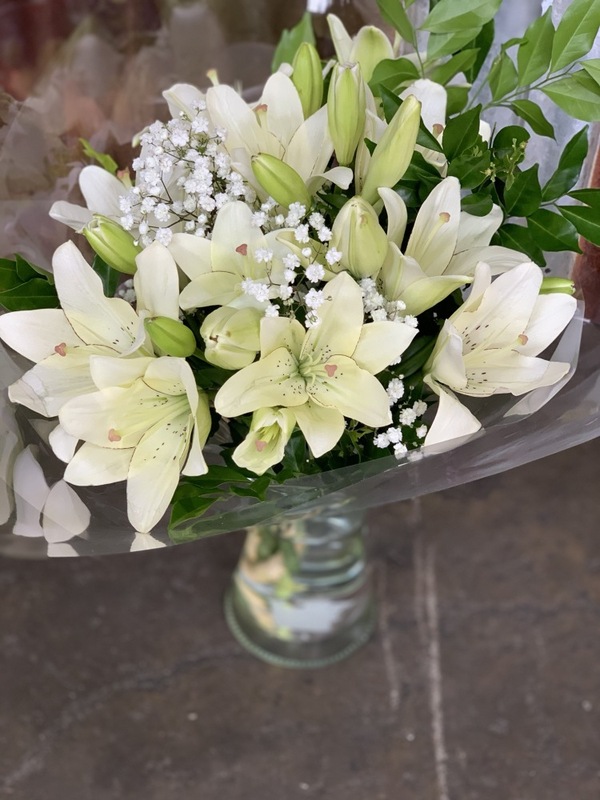 Flowers make the perfect gift for anyone, any day. 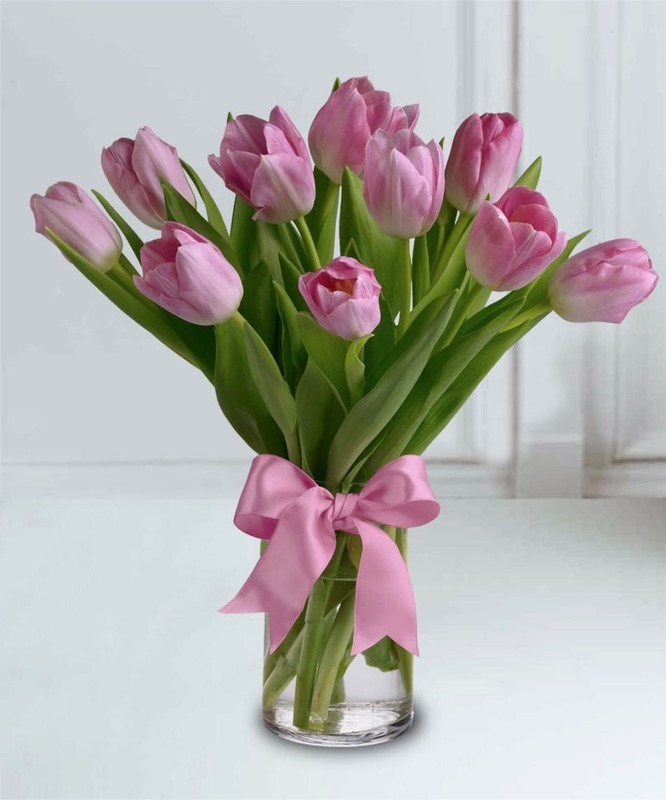 And if you`re not sure if the lucky person has something to put your floral gift in, it`s okay! 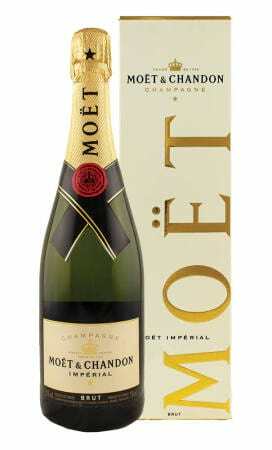 We have that covered! 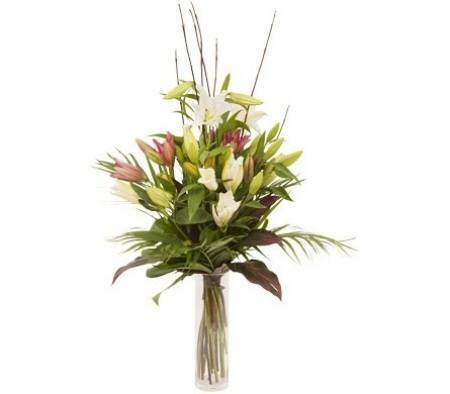 You can upgrade your bunch of flowers and get a vase with it too. 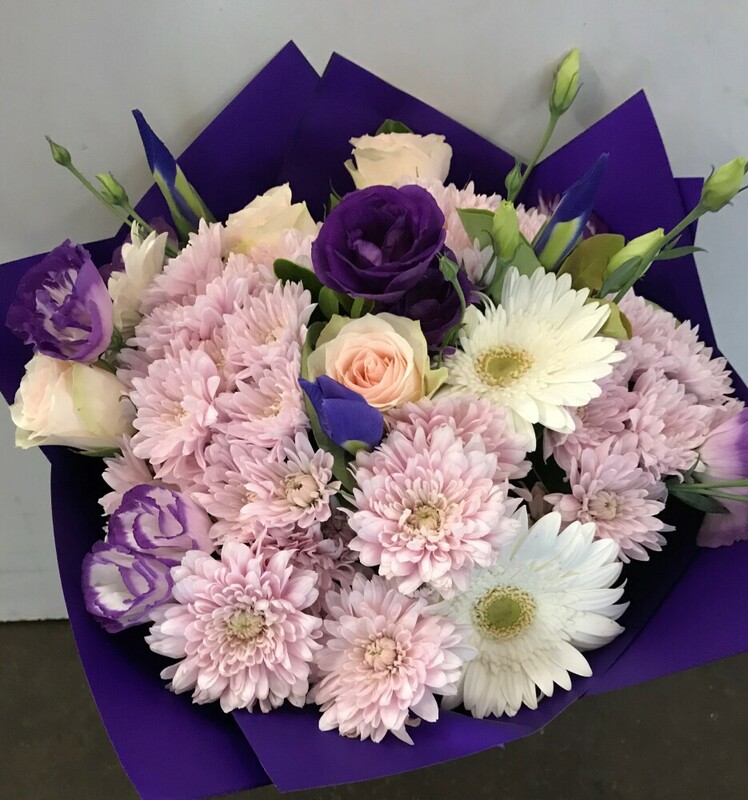 We have a wide variety of fresh flowers available every day, such as gerberas, lilies, roses, carnations, stock and much more. 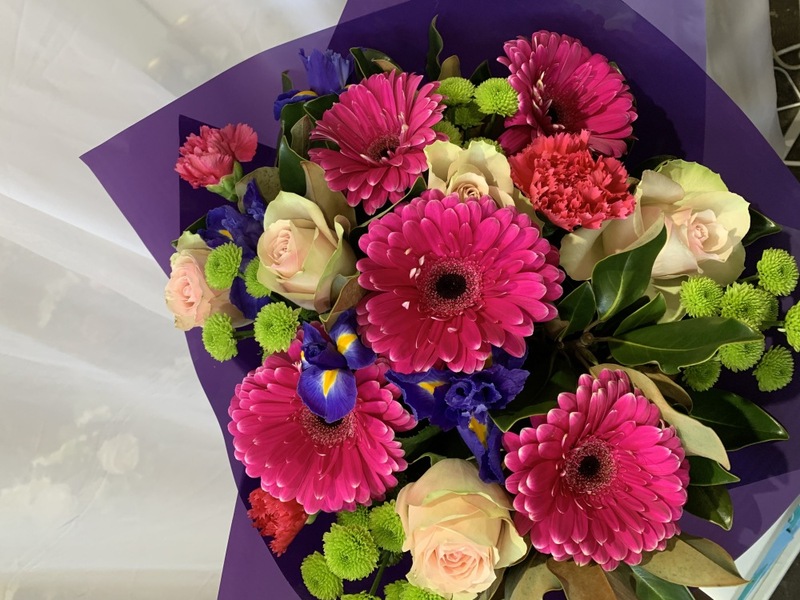 So, if you want a simple bunch of colourful gerberas or an extravigent bouquet of lilies and roses, we have you covered there too. 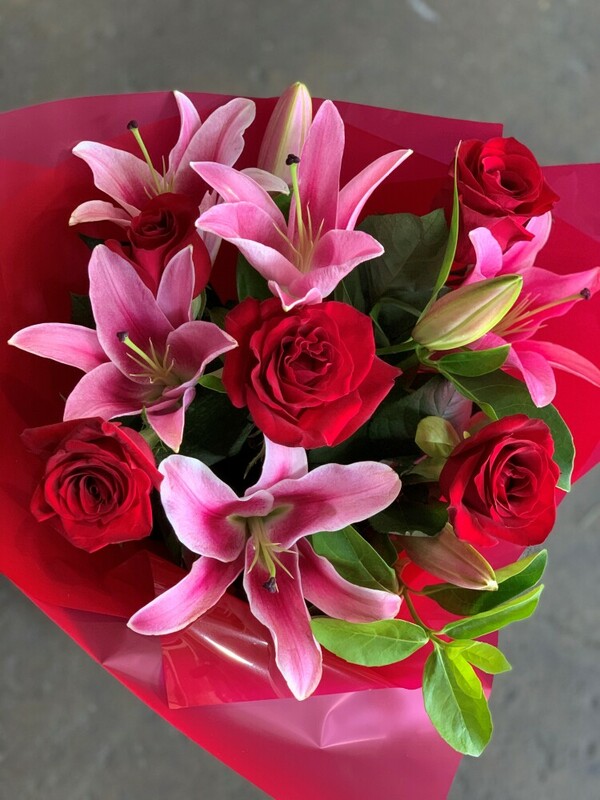 And they can all be delivered for you today. 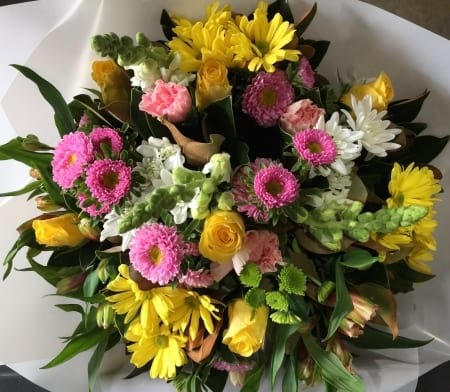 We deliver flower bouquets all over the Hawkesbury, Windsor, South Windsor, Bligh Park and beyond. 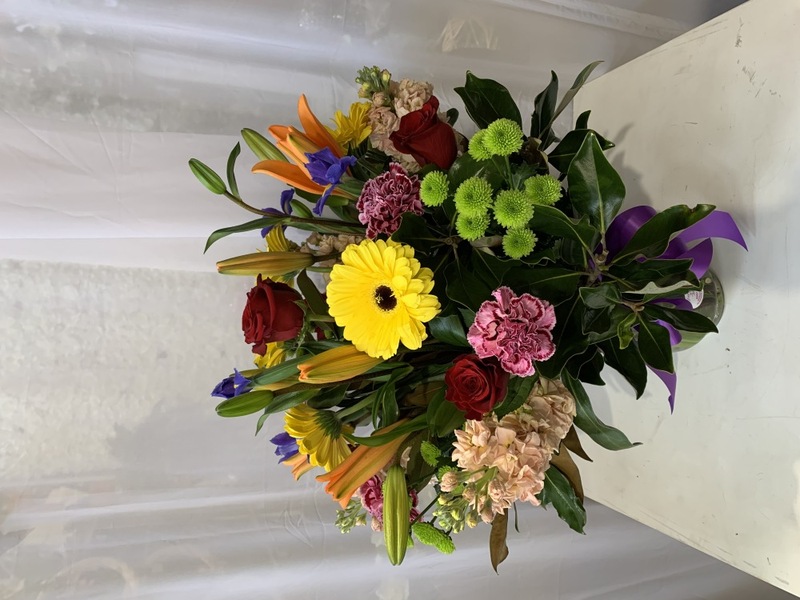 Angels Florist in South Windsor offers stunning and truly magical flower arrangement and decorative services that suit your personality and style. 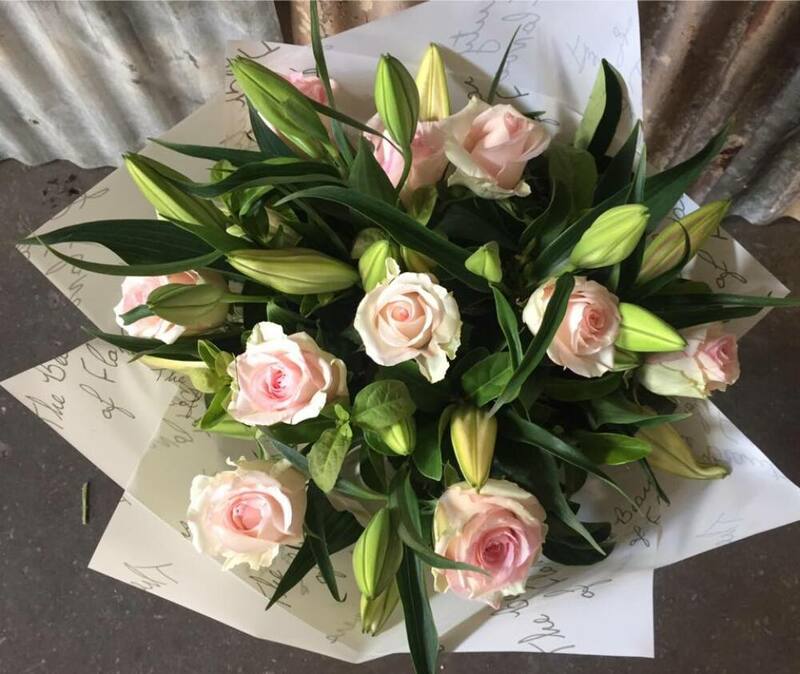 With almost 30 years behind us, our florists specialise in creating the little details that instantly turn your dream wedding event or birthday party into a stunning reality. 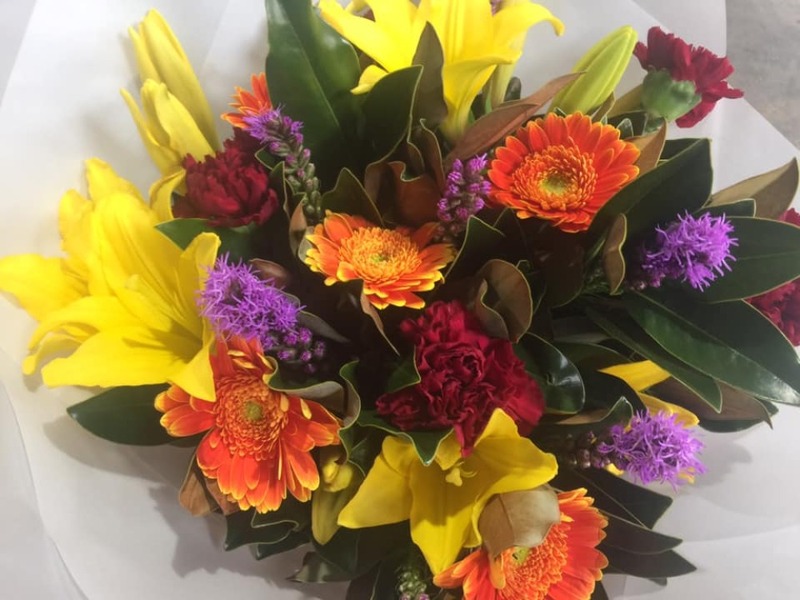 All prices are in Australian dollars and include GST.